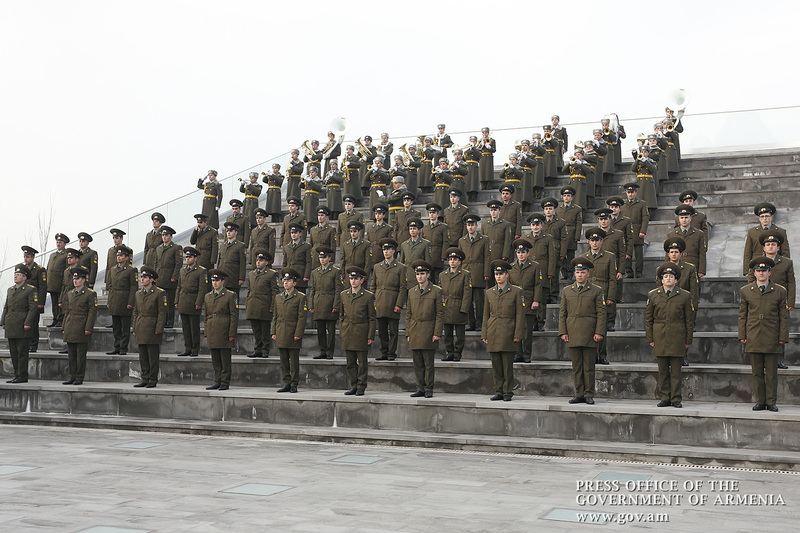 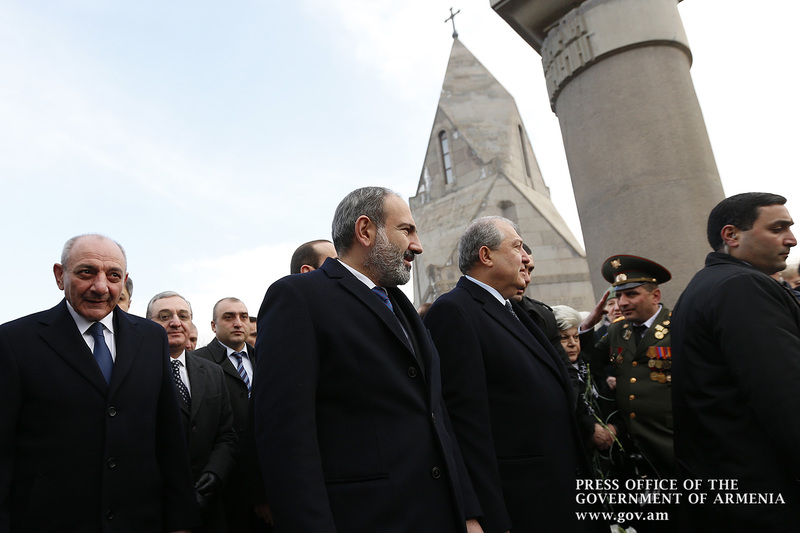 On the occasion of Army Day, together with President of the Republic of Armenia Armen Sarkissyan, Artsakh Republic President Bako Sahakyan, Catholicos of All Armenians His Holiness Garegin II, National Assembly Speaker Ararat Mirzoyan, as well as accompanied by National Security Council members and the leadership of Defense Ministry and Armed Forces, Prime Minister Nikol Pashinyan visited Yerablur military pantheon to pay tribute to the memory of those soldiers who fell for Motherland’s independence. 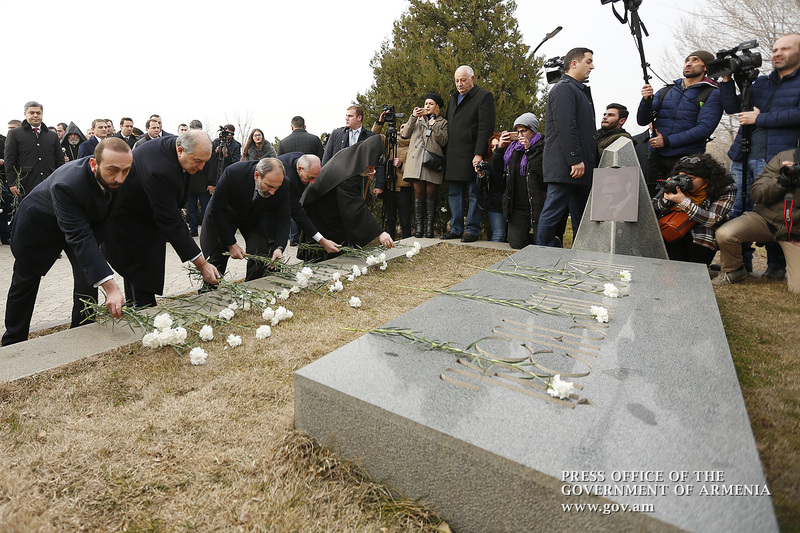 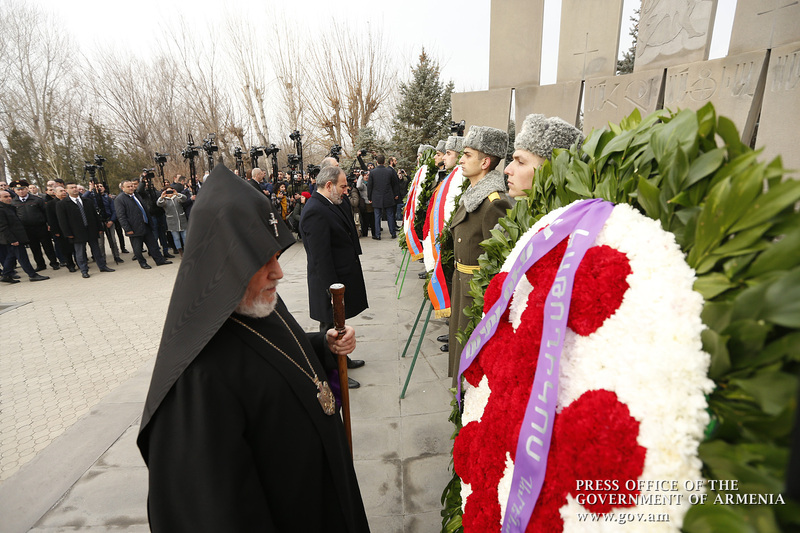 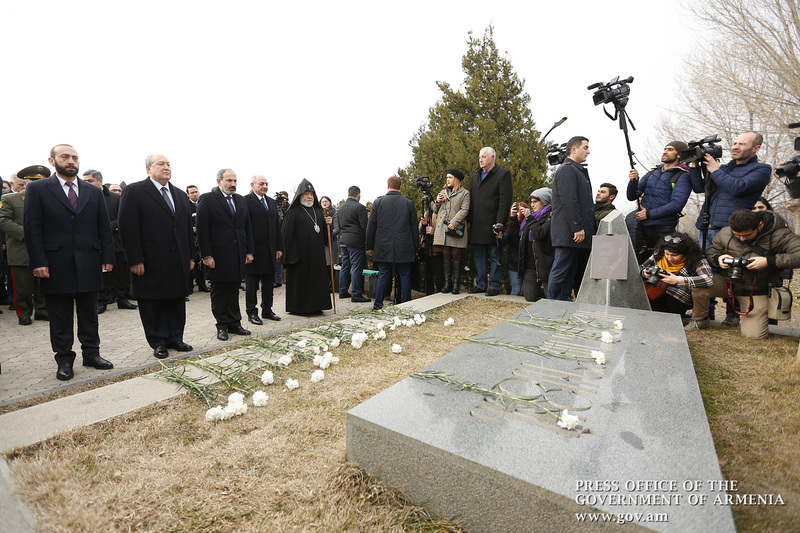 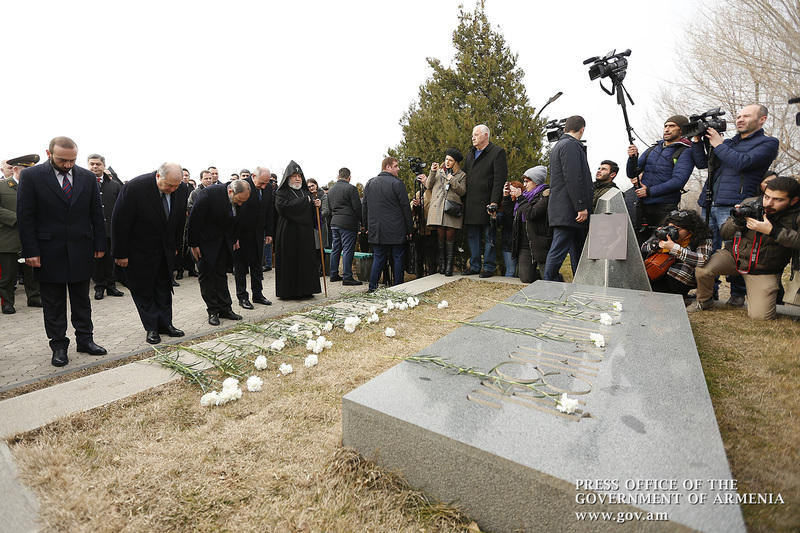 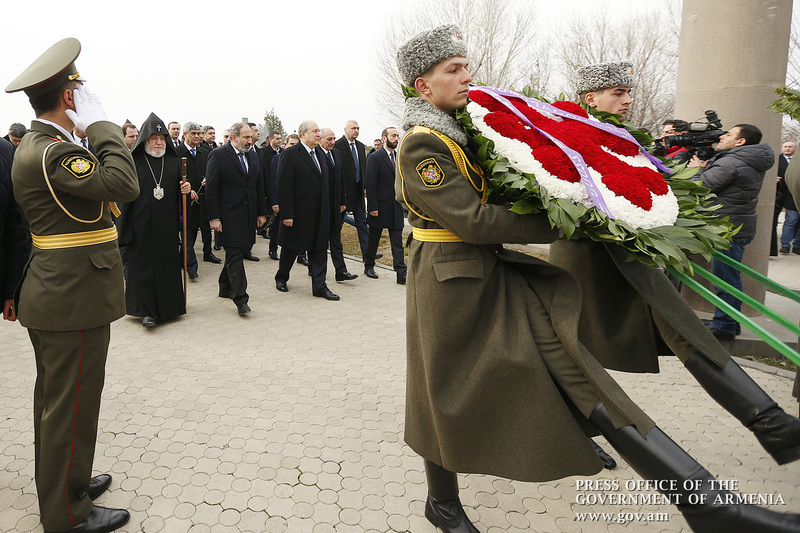 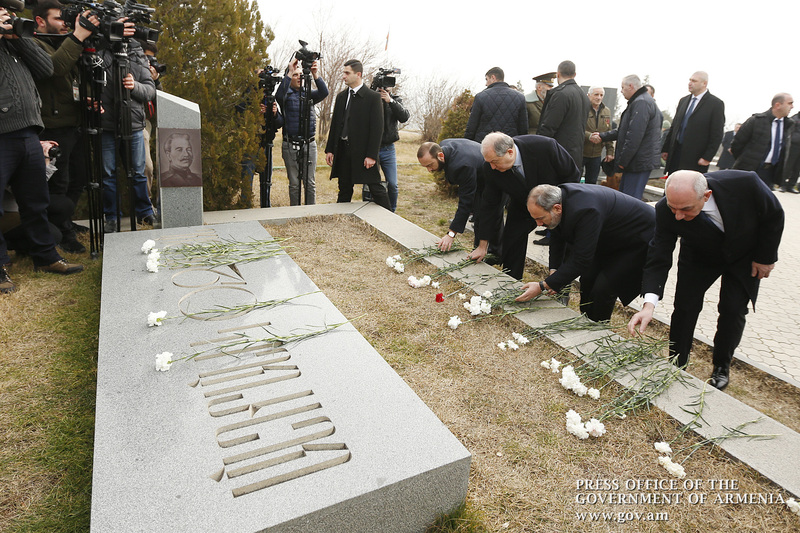 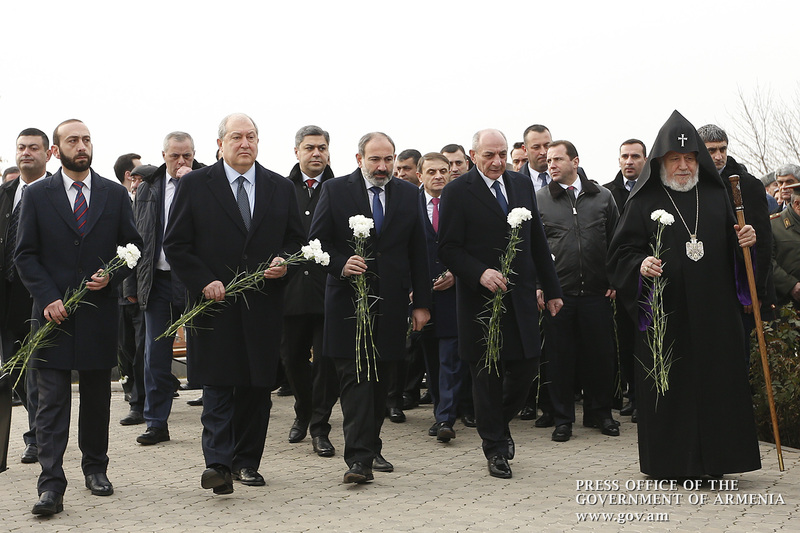 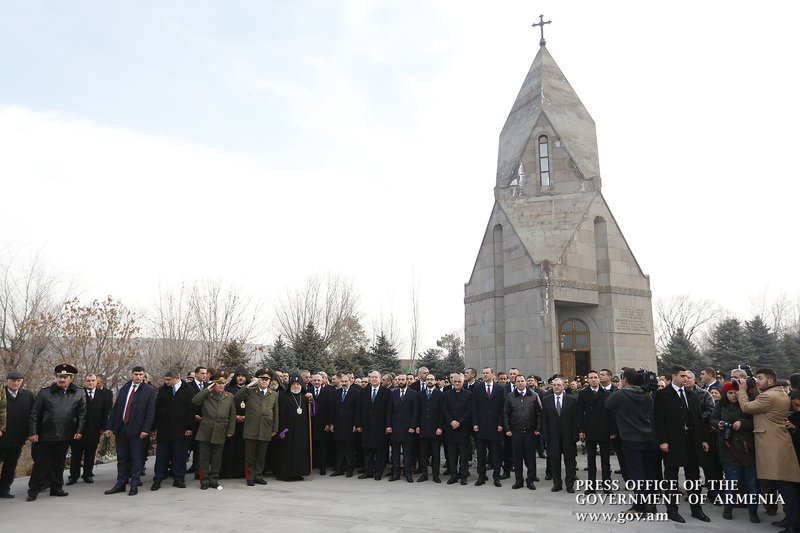 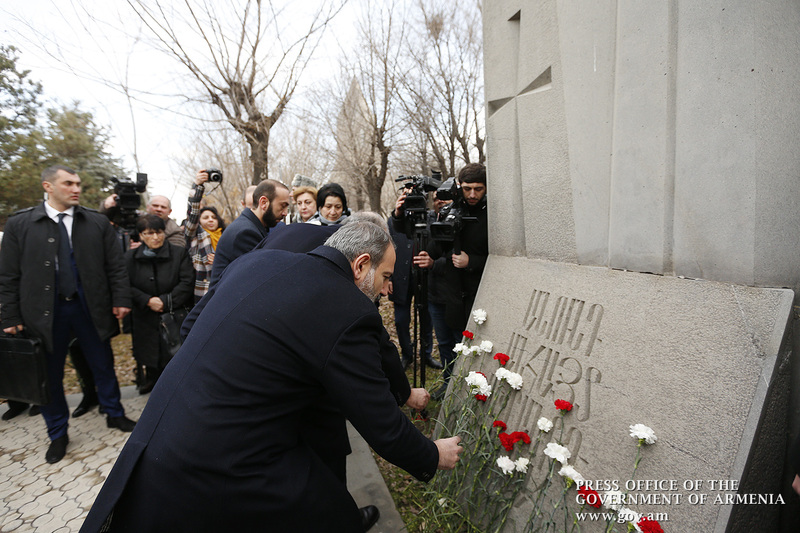 The Prime Minister laid flowers at the graves of Vazgen Sargsyan, Andranik Ozanyan, at the memorial of missing freedom-fighters. 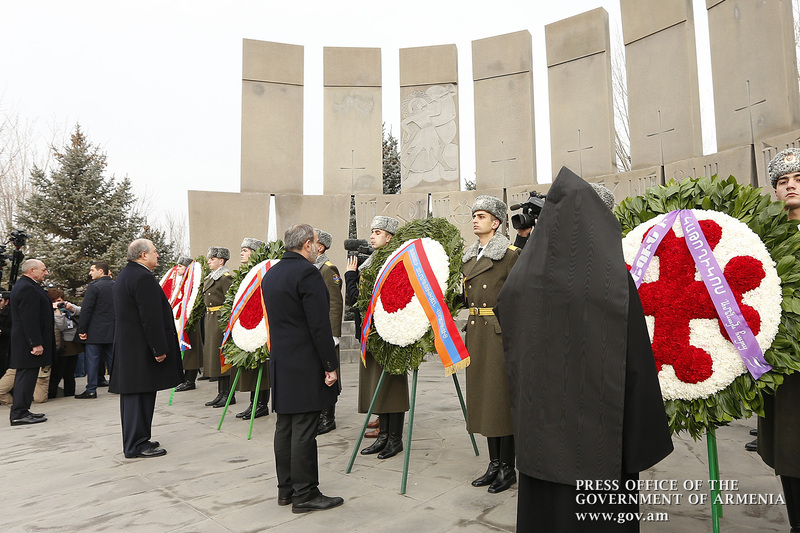 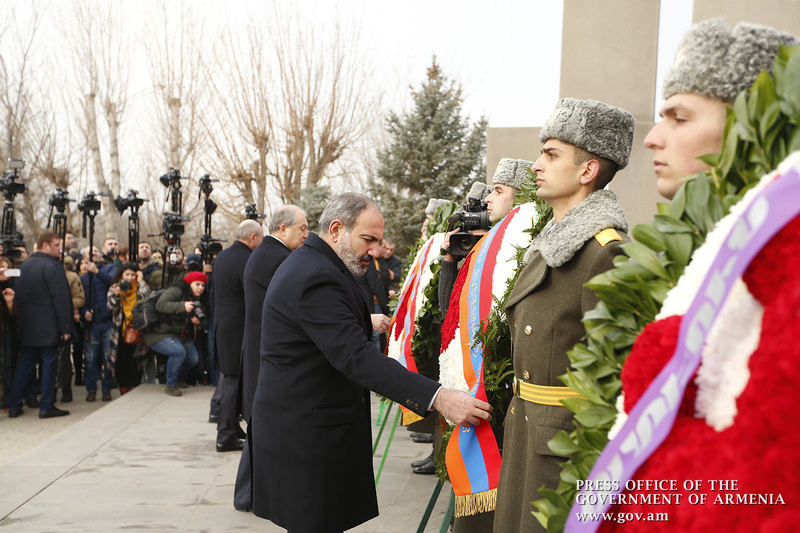 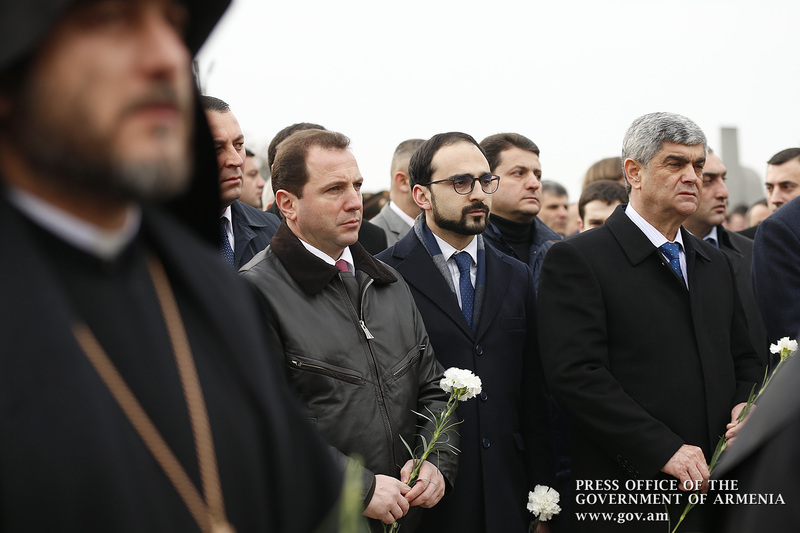 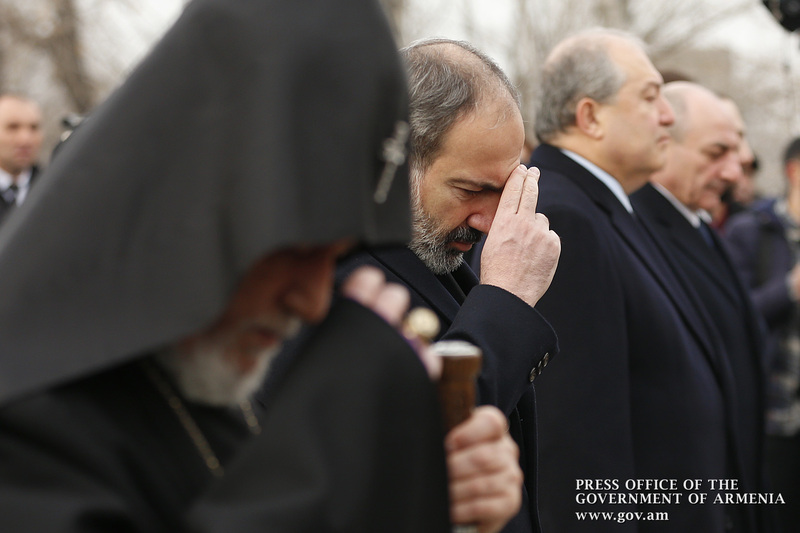 Nikol Pashinyan also laid a wreath at the monument commemorating our freedom-fighters. 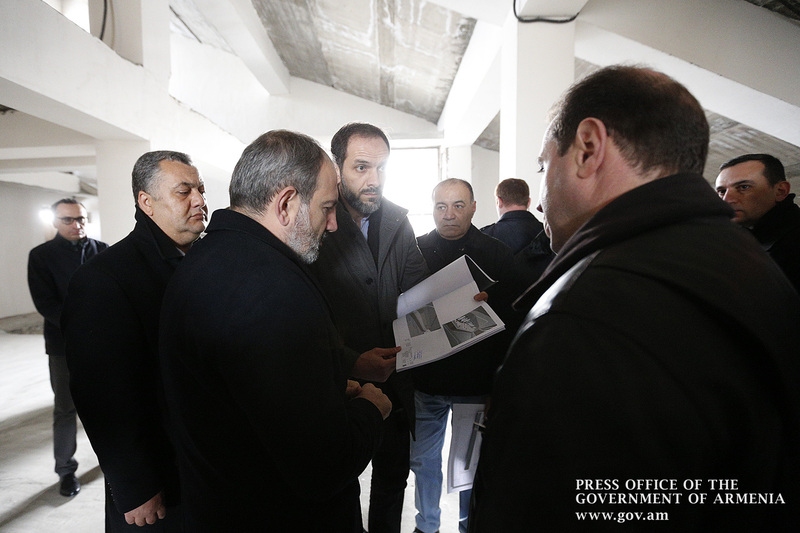 Nikol Pashinyan was introduced to the Yerablur Military Pantheon Museum project and inspected progress in construction and engineering activities.